On January 10, 1948, 15-year-old Loretta Webb married Oliver Vanetta "Doolittle" Lynn (August 27, 1926 – August 22, 1996), better known as "Doolittle", "Doo", or "Mooney". They had met only a month earlier. The Lynns left Kentucky and moved to the logging community of Custer, Washington, when Loretta was seven months pregnant with the first of their six children. The happiness and heartache of her early years of marriage would help to inspire Lynn's songwriting. In 1953, Doolittle bought her a $17 Harmony guitar. She taught herself to play the instrument, and over the following three years, she worked to improve her guitar playing. With Doolittle's encouragement, she started her own band, Loretta and the Trailblazers, with her brother Jay Lee playing lead guitar. She often appeared at Bill's Tavern in Blaine, Washington, and the Delta Grange Hall in Custer, Washington, with the Pen Brothers' band and the Westerneers. 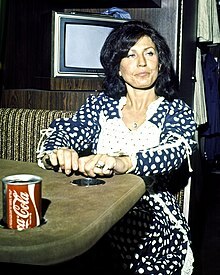 She cut her first record, "I'm a Honky Tonk Girl", in February 1960. In 1967 Lynn reached No. 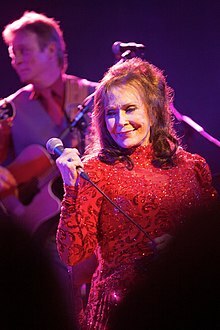 1 with "Don't Come Home A-Drinkin' (With Lovin' on Your Mind)", and became one of the first albums by a female country artist to reach sales of 500,000 copies.